Do you remember the times we bought maps to drive? Sometimes we used to park the car to view the map and then continue the trip. But all these things were sometimes confusing. Then we started using the GPS which was very good for people who loved to trip a lot. Anyway they still needed to watch their GPS and then continue the trip or localize themselves in the map was just too difficult. But now a days we use Google Maps which is an application made to localize ourselves in the map and also to find a route to trip. This application is so effective and useful that even shows us specific places located in different parts of the world, just like searching for information, we can just search for a place in Google Maps and we will get all the results even the name of streets, avenues, etc. But this application just use Internet is not downloaded completely to your smartphone or laptop, computer, etc., instead what you download is a link to the google maps and a platform that can read maps. And the Internet does the other part. 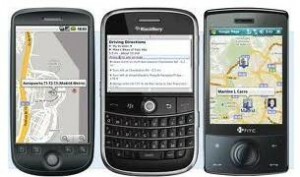 So next that you would like to travel grab with you your smartphone with Google Maps installed on it.